"All Great Stories deserve a little embellishment," claims Gandalf the Grey. And I find I am forced to agree wholeheartedly. I know at least one Hobbit purist who refuses to pay up front for THREE movies culled from a 300-odd page children's book. In his view, perhaps, the makers are on a cash-grab: stretching the material too thin and inserting too many ideas from author J.R.R. Tolkien's indices and supplementary sources. I respect this attitude, while personally of the opinion that while there may be such a place as 'too much of a good thing'... I haven't hit it yet!!! 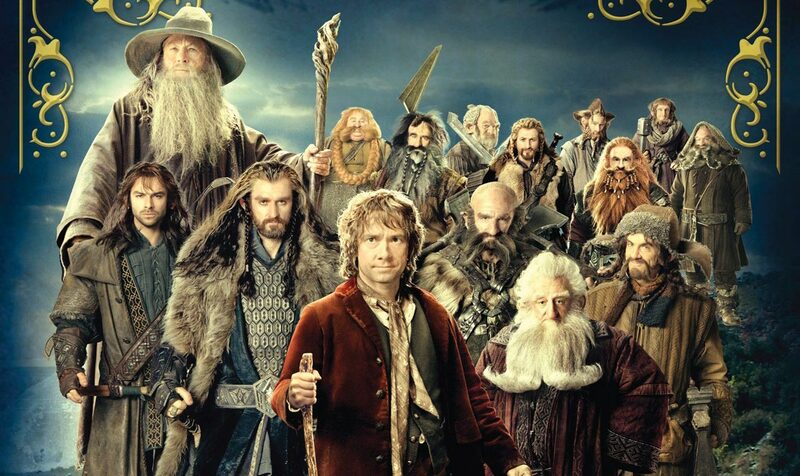 Howard Shore's fine musical backdrop for this lovely fantasy world is a great treat. There's a whole new album out there for you aficionados, and it's very worthwhile. The lyrics from the book are put to music to great effect throughout. Much is owed for the toil of the basement trolls who make possible the CGI trolls. Not to mention goblins, orcs, wargs, eagles, moths, rabbits, ghouls and what-have-you. Nice job, boffins and weirdos! Your art is marvelous. Making the unreal real surely adds to the beauty and the terrors of millions of our dreams. Speaking of bright spots, I was also very, very NOT disappointed when it came to the role perhaps most typical of "additional material". 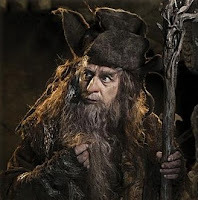 My beloved Sylvester McCoy (he of Doctor Who fame 1986-89) as the obsessively animistic wizard Radagast the Brown was a poop-covered hoot. Now that there is such a thing as Radagast, I feel like there always should have been. 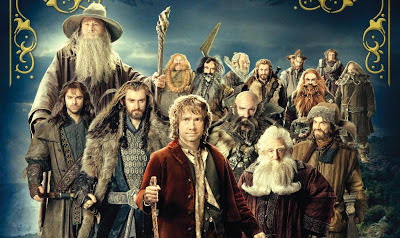 Still and all, with a Jackson/Tolkien joint in the theaters once again, it really does feel like Christmas! And lastly, for my part, it was a film to enjoy with a friend. Many thanks to my buddy Ron for his generosity.